This is not because the medicinal garden is that it must be dull and boring. Some plants give us both a therapeutic value and a bouquet of colors which makes viewing pleasure. This is the case of the California poppy (Eschscholzia californica), which, by its orange glow, will bring us a more restful sleep. Sleep problems are common. One in three suffers, says the Health Monitoring Institute (InVS). Many causes can be stigmatized, since the use of screens in the evening that blocks the production of melatonin to the lack of activity, via digestive problems. While we try to trace the exact cause, it is good to take a simple and effective plant to begin to find a quality sleep. 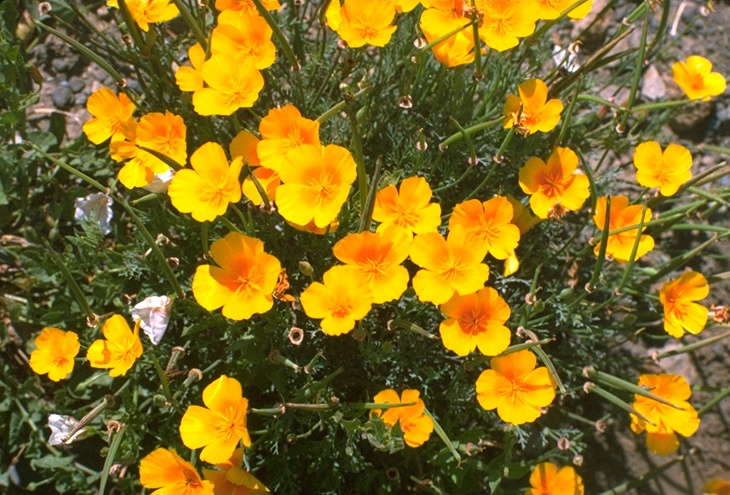 The California poppy provides a soft sedation and without addiction. It has a long history of use in the US, including among the excited child who has trouble sleeping. It can be taken as a tea, but its bitter taste is not very pleasant. In addition, the infusion of the night awakenings causes for the toilet. So it will be better tolerated liquid extract, tincture or EPS (glycerin extract). If you have trouble falling asleep, take 40 drops in a little water, one hour and half an hour before going to bed If you fall asleep fine but your sleep is interrupted later in the night, take 40 drops in a little water at bedtime and prepare the same dose on your nightstand to take when first awakening. It is one conventional decorative plants found in the seed mixtures flowerbeds. And because it germinates very well, does not require much to grow and bloom for much of the summer. It is a perennial in its natural environment, (California, New Mexico, Texas), where winters are mild. In our latitudes, we grow as an annual. The seed is medium sized and round. Sow it in the spring, even when it's getting a little warm for most of the seedlings. She does not like being transplanted, so it is best to sow directly into its final location. If you want to keep on the balcony or terrace, fill a pot or planter with a mixture of garden soil, relatively poor and somewhat sandy, and some planting soil handles. You can sow thick and clear up afterwards. Cover hardly earth seed, press firmly and hold humid. For planting in the ground, rake your land slightly to form small furrows, sow on the fly and then pack it well to cover the seed. Then moisten with a pipe with a misting nozzle. The final location should be sunny. The plant needs only a very sparse watering because it is accustomed to arid climates. It will take a little more frequent watering a pot. It produces a large amount of orange flowers that then give elongated receptacles filled with seeds. She reseed easily: let these dry containers, open and propel their offspring for a flower bed the following year. Pick also some for planting more "controlled". As a precaution for a child under 6 years, use softer plants like chamomile or lemon balm. Beyond 6 years, measure out the weight (20 drops if your child is 35 kg, the adult dose is 40 drops per 70 kg). Do not use the Escholtzia if you are pregnant or breastfeeding.